Unlike concrete slabs, brick pavers are resistant to cracking and weather-related damage. If a brick paver does get damaged, you only need to replace that brick. But repairing cracked concrete requires removing an entire slab. And concrete slabs can't beat the natural beauty of brick. 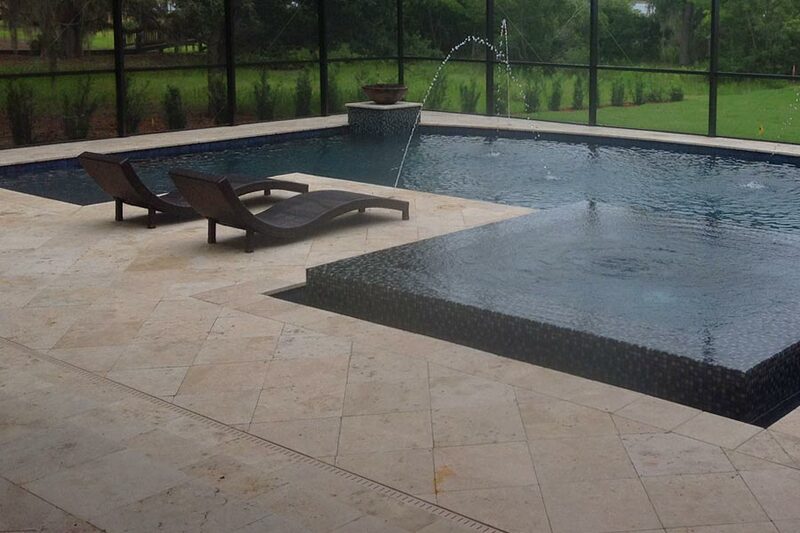 There is natural beauty inherent in stone pool decking. 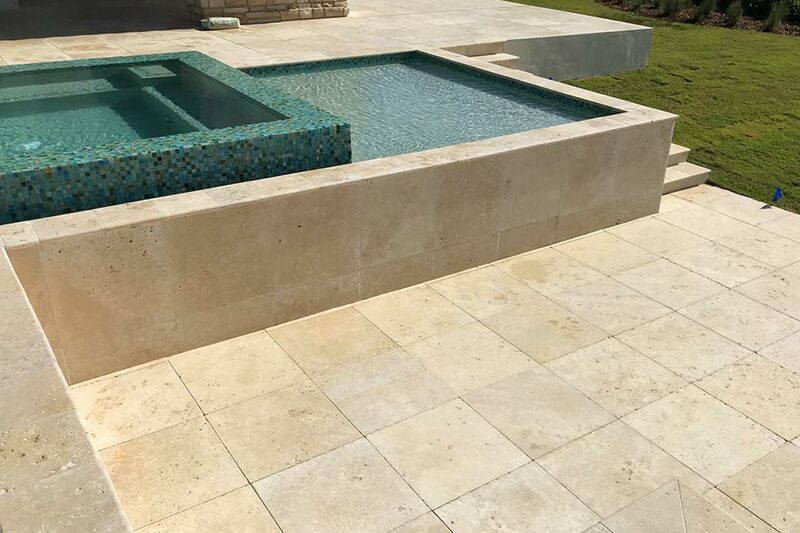 Stone blends with the environment, creating a pool space that looks like it's part of the natural surroundings. Stones not only visually enhance your yard, but also provides a nonslip surface for added safety. Like brick deck pavers, you can replace a stone more easily than a concrete slab. 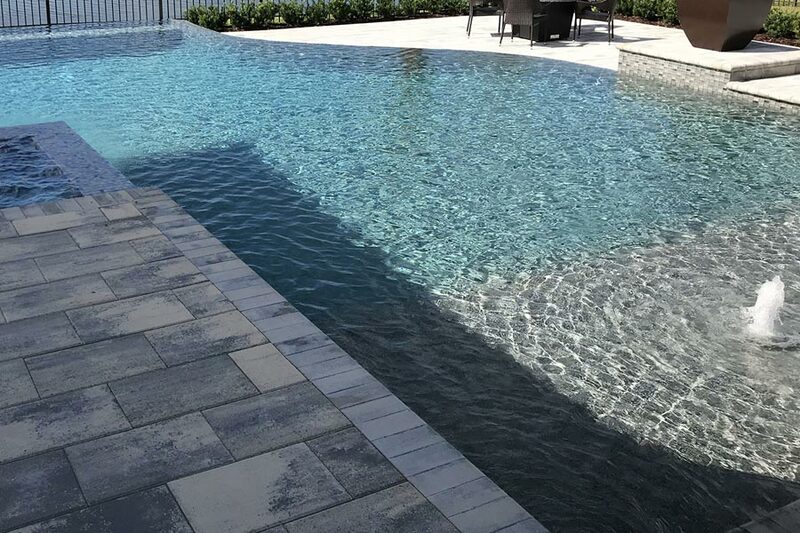 Stone pavers can be extended beyond the pool, such as driveways and walkways. If you want the benefits of deck pavers but the smooth look of concrete, concrete deck pavers are the obvious choice. 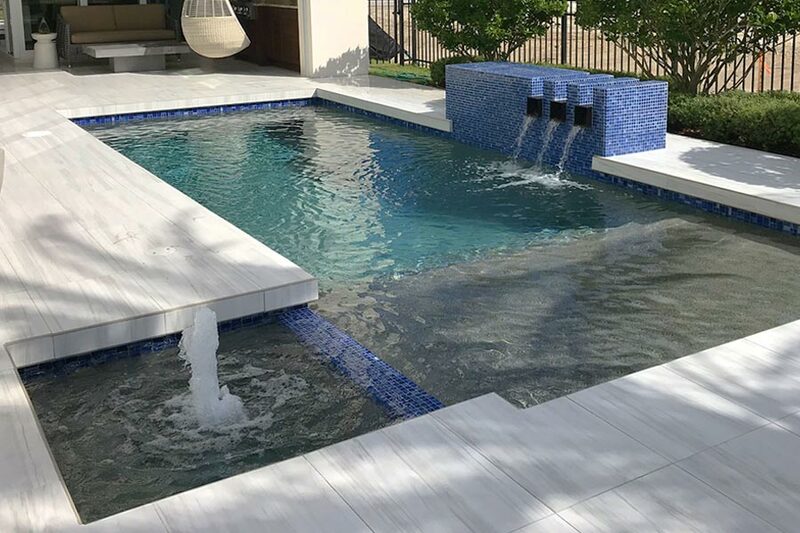 Concrete pavers are available in colors and shapes that give a fare more pleasing look than concrete slabs. With concrete pavers, you don’t have to worry about replacing an entire slab if it cracks or buckles. See some of our deck work here.